Mr. Harish Batra and his Team at International Manpower Resources (IMR) has proven to be a highly reliable, professional and committed supplier for manpower. They have always honoured their commitments beyond expectations in a timely manner and at highly competitive rates. Mr. Batra has always ensured that the candidates IMR sends match the required competency set that an organisation require in its endeavour to achieve its ongoing projects. Mr. Batra pays great importance to quality at every step of the recruitment process and gets involved personally to ensure that there are no mishaps. He has proven to support organisations at times of need to bridge manpower gaps and ensures that challenges are overturned. As a person of charisma, great leadership and a strong sense of vision he always creates a motivating environment at his workplace to synergise creative and innovative solutions to meet our organisation's manpower needs. I still vividly remember the superb welcome his team and him gave me during my visit to his head office in Delhi. The lean management system they posses coupled with his well connected network throughout India gave him a real competitive advantage. He could without the shadow of a doubt exceed out manpower requirements after having tested and certified the prospective candidates. I have no hesitation to highly recommend Mr. Batra (IMR) and have no doubt that with this momentum; IMR under the leadership of Mr. Batra has a long way to go. I seize this opportunity to thank his team and him for their valued continued support whilst wishing them all plenty of success in their Business. MDS is a South African company which has been operational for 10 years, our primary focus being Engineering and Construction. We have worked extensively with Mr. Batra and his team at IMR, in the recruitment of skilled personnel for use on projects in South Africa. IMR have maintained a high level of service and capability in dealing with our requirements, which are often subject to severe time constraints. We expect the need for professional and skilled personnel for projects in South Africa to increase in the coming months and have no reservations that IMR will be able to assist us in this regard. Harish under IMR provides manpower services that are of international standards. 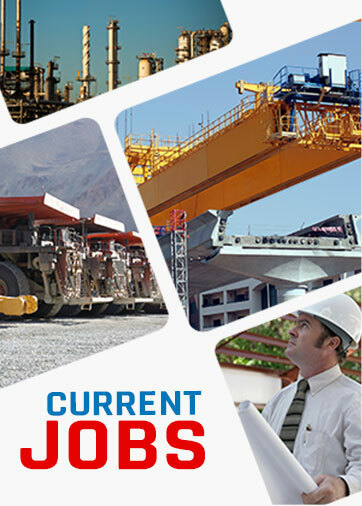 We were highly recommended IMR agency to recruit indian engineer for Power, Oil & Gas Sector. Their working skill and feedback which was asked by our company were excellent. REMAK S.A. have been cooperating with International Manpower Resources since 2007. During this time IMR has recruited for REMAK S.A. about 400 welders and fitters from India. We have been very pleased with the result and professional level of services offerd by IMR. IMR in very competent manner organized skill tests for welders in India, cared about REMAK's delegation during its staying there and finally organized visa for workers. I recommend them to you without reservation. Recently we have employed 3 candidates through IMR, and we really appreciate their professionalism and attitude and helping solving issues efficiently. We are very favorably impressed by the attention that we have received from IMR, right from the first contact with Mr. J.N. Lamba and at every step of the process thereafter. We are particularly grateful for the patience shown us, considering all the delays caused by confusion and contradictory information received from Paraguayan authorities at our end. Based on our very positive experience, we would very confidently recommend the services of IMR to any potential client.